​​​CONROE - Two builders announced details of home plans in Grand Central Park, a master-planned community by Johnson Development Corp., taking shape on the former Camp Strake Boy Scout land in Conroe. Drees Custom Homes, a private builder based in Kentucky, will offer nine floorplans priced from $415,000. Sizes will range from 2,600 sf to more than 3,700 sf. Features include two-story foyers, spiral staircases and open layouts connecting the family room, kitchen and dining. 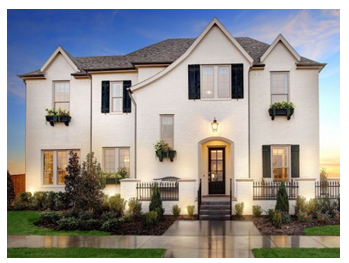 Perry Homes, a private builder based in Houston, will build one- and two-story plans starting around $315,000. Sized from 2,100 sf to 3,500 sf, the three- and five-bedroom homes will also have grand entries, open floorplans, master suites, kitchen islands with built-in seating, walk-in pantries, guest suites and a library.